#3: Back to Basics, Part Three | DC2: New Adventures of DC's Heroes! Issue Three: "Back to Basics, Part Three"
It was a life that we lived, with its bumps and bruises, that was worth every bit of fear. This boy would be the death of Martha and Jonathan, they both believed it. He seemed to have no fear. It had only been a few days since he had taunted their prize bull, and the week before he had decided that he was old enough to try to ride a horse. Luckily, during both occasions, he had not been hurt. Jonathan wished there had been a little pain; not much, but enough to make Clark think twice before trying some other daredevil stunt. He couldn’t tell Martha that; she believed Clark was sent from God and God would protect him. Well, she didn’t really believe the latter, but it didn’t stop her from repeating it to him. He finished tinkering with the tractor and stood up. He wiped the sweat off of his brow and looked around. It was a beautiful summer day in Kansas and he loved it. Jonathan turned around and saw Clark standing on the fence post, a mischievous grin on his face. He was poised to jump on the back of a newly acquired stallion, one that was not trained to accommodate a rider. His heart stopped for a split second as time slowed. Clark laughed as he jumped towards the horse’s back. Unfortunately, Jonathan wasn’t the only one to see Clark; so did the horse. His back feet kicked up and out, one missing, but the other connecting with the side of Clark’s face. There was a sickening crunch and Clark flew backwards, over the fence. Jonathan ran to him, faster than he imagined he could move. He could hear Clark crying as he kneeled down. He wanted to pick him up, but knew it could aggravate any damage to Clark’s neck. He brushed his son’s hair away, looking for the damage done by the horse, but found nothing but a bruise on his left cheek. Clark looked up at him and reached out, crying harder. Jonathan picked him up and rocked him. “It’s okay, big guy, it’s okay. Shhhhh.” He continued to rock him, Clark’s arms clinging to him. Tears began streaming down Jonathan’s cheeks, maybe God was protecting Clark. The gurney rushed down the hospital corridor. The two EMTs, pushing it, called for people to get out of the way. The IV bag was nearly empty, but the patient was still unresponsive. The doctor wasn’t new to the Emergency Room, but he was new to treating an attack from the Parasite. He knew these two veteran EMTs and trusted their analysis. As far as he knew, no one survived the Parasite, except Superman. He hoped he was wrong. Looking at a nearby nurse, he said, “You heard them, order a CT scan, type his blood and get an IV set up.” The nurse wasted no time following the doctor’s orders. Superman flew after the subway train, the Parasite still holding his hostage. The woman was shaking, but it didn’t look like any of her energy had been drained. Superman didn’t know how long this standoff would last. He flew closer to the subway car and Parasite began laughing, causing him to back off a little. The Parasite nodded at him and gave a rueful smile, then flew straight through the roof of the subway, earth and concrete above, until reaching open air. The woman screamed for a split second before it was cut off. They were high above the city, with Superman trailing them. The Parasite whispered, “Bye, bye, Sweetie,” before dropping her. 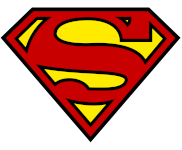 Superman saw the woman dropping and flew to intercept her, but as he grabbed her he realized that her body was nothing more than a shell. Her dry husk began to crumble in his hands, sending a second of rising horror through his entire being. He put on a demeanor of strength and calm, but this was nearly too much. He pulled his hands back as the particles of dust, the remains of the woman, drifted down to the street below. He knew that he needed to catch the Parasite to stop this horror from occurring again. His anger rose and drove him forward. He flew up, looking around. He couldn’t see the Parasite, but he wouldn’t stop looking. Each second the Parasite was free was one more body he would add to his body count. Superman was thankful that the number had been so few. He knew exactly what the Parasite was capable of. He began flying west, slowly, as he scanned the surrounding area. He saw nothing, so began to turn south when something slammed into him from above. He could feel his energy being drained as he smashed into a nearby roof. Superman attempted to buck the Parasite off of him, with no success. He could feel the energy leaving him and even though he had quite an excess*, he couldn’t let the Parasite get any more. Throwing him off wouldn’t work, he wasn’t in the right position. Instead, he dove down into the building, using the inner roof material to scrape the Parasite off of him. The people working there stared in stark terror. Superman couldn’t worry about that now. He only had a few milliseconds before the Parasite followed him. He moved faster than anyone in the office could see, grabbing a metal desk. As soon as the Parasite flew down the hole, Superman smashed the desk into him. Heat vision pouring over the metal, creating a liquid waterfall that covered his enemy. Then he finished it off with super breath, solidifying it. It wouldn’t hold Parasite long, but hopefully long enough. He wasn’t used to having powers like Superman and that would make him panic at the thought of not being able to breathe in the metal shell. Superman counted on that. He grabbed his captive and flew through the hole he had created, pushing himself towards the wilderness outside of Metropolis. He had to keep this fight away from the populace. As he flew over the docks, he felt the Parasite stop moving. He was out of time, but had at least made it to a less populated area. Heat vision poured from inside the metal shell, heating it through and through before slamming into Superman’s chest. He dropped the Parasite instinctively, as the metal shell exploded. Superman just looked at him, arms across his chest. I need to end this quick, he thought. Though, oddly enough, he still felt like he was at full power. The Parasite had done nothing more than siphon off the extra energy. The nurse’s fingers hit the keyboard as she searched her computer screen, more for show than anything. Everyone in the department knew about the kid who had been attacked by the Parasite. She knew if she didn’t take the time to look, they might guess how bad it is. Alice began to break down, falling into Perry’s arms. Her sobs racked through his body. His arms pulled her in tighter. “It will be okay, sweetie. It will be okay,” he said as he led her to the nearby waiting room. Superman could see that the Parasite was angry, but he was okay with that. He knew that the energy that had been taken from him was a small amount. Keeping that in mind, if he could stay out of Parasite’s reach and get him to burn out what he had stolen, then he’d be able to capture him. “You know, I think I’m full. Don’t want to ruin the golden goose yet. See ya around, Superstud,” the Parasite said as he dove into the water below. Superman was not caught unaware. He had scared Parasite and an attempted escape was a definite possibility. He flew after him, using his super breath to freeze the water as soon as Parasite had entered it. He waited only a second before using heat vision to melt the ice and create a thick cloud of steam. The encapsulation in ice left the Parasite’s heat signature lower than that of the surrounding steam, even though it had only been for a second. Superman used his thermal vision to pick him out. He knew that the Parasite didn’t know about this aspect of his powers, he was too new at this. As Parasite began rising within the steam, Superman made his move. He flew at superspeed, flying by the Parasite and hitting him in the face before disappearing back into the steam. Over and over again, Superman hit him, not letting him get his bearings. To the Parasite, it was like a ghost was weaving in and out of the fog. Frustration roared through Parasite. “Face me like a man!” Then he was hit again and again. His frustration grew, but also added some clarity. Parasite began inhaling the steam, but Superman was prepared for this, as well. He punched Parasite in the stomach, blowing out the steam he had inhaled. Then he planted his knee in the Parasite’s face while simultaneously grabbing his arms, hurling him into an empty construction site not far from the docks. The Parasite had no time to react. He had been hit repeatedly, then thrown into the hole of a construction site. His body hit the ground, driving the wind out of him. He felt it and it hurt. He knew that with all of the punching, the power he had absorbed was leaving him. He began to stand up, wobbly on his feet. Superman saw the Parasite stand and knew he had to move him a few feet to the left. He flew down, taking advantage of Parasite’s disorientation and kicked him in the back, sending him skidding ten feet to the left. Dirt caked the Parasite’s face and clothes as he fell into the hole that the construction crew had dug. “You’re dead, you #$%^! Dead!” The Parasite looked up, but couldn’t see the Man of Steel. Superman ignored him, grabbing a nearby cement truck and pouring its contents over his adversary. Parasite remembered what it felt like to not be able to breathe and began panicking. His hands swam through the wet concrete, hoping to find purchase, but it was futile. He began to fly instead, but Superman used the back end of the cement truck to hit him, sending him back down into the wet cement. More cement poured as Parasite attempted to scream, the liquid concrete filling his mouth before rising above his head. He was completely covered before Superman used his super breath to help the cement set. Superman put the truck down and flew into the hole. Using his x-ray vision and his fingers, he carved part of the Parasite’s head free from the concrete, also clearing out his mouth. The villain was able to breathe, but was encased within a block of cement, his face free and pointing up towards the sky. Jose walked away from the school, towards the subway. He had spent the last few hours answering questions by the police. It was a relief that more kids had not lost their lives, but he was still worried about Jerry. Metropolis had Superman, but that didn’t make it safe. Superman couldn’t be everywhere and the problems he dealt with tended to be bigger in scope. This was a great city, but it needed someone else, someone who got dirty and down into the weeds of crime. This attack on his students was the push that Jose needed. He would be something more than just a teacher. Why not take a page out of Batman’s book and fight at night. He may not be able to fight bigger threats, but he could handle the regular criminals, those that preyed on the people he knew and cared for. He just needed an identity; who would be scared of Jose Delgado? Jimmy arrived at Metropolis General. He was in a mild panic. He had risked his life many times in the pursuit of a story, but it was different when a family member was hurt. He hadn’t received all of the details, but he knew that Perry’s son had been a victim of the Parasite. That was enough to send him running to check on his boss. He entered the emergency room, figuring that Jerry would have been sent there. The waiting room was crowded, but it only took a second to make out Perry and Alice. Perry’s hand was on Alice’s. She looked down at the floor, her knee moving up and down. Perry shook his head. “No, and how many times do I have to tell you not to call me ’Chief ’,” he said, though it was more teasing than authoritative. Jimmy smiled at him, understanding the jest for what it was. An attempt to take his mind off of his son’s condition. All three sat in silence, taking comfort in the presence of each other. They didn’t need to talk, but knowing that people were there in support helped to give both Alice and Perry strength. Lois turned and looked at him, caught off guard. “Did you come to see Dr. Faulkner, as well?” she asked. Jimmy moved to the side and pointed toward the couple. Perry was looking at them. Lois walked toward them, sitting down next to Alice and holding her hand. She looked up at Lois, tears brimming on the edge of her eyelids. Then she glanced back down at the floor, waiting for the doctor to give them any news about her son. “Nooooo!” Parasite screamed as beams of heat erupted from his eyes. He strained against the cement, which buckled, but did not give way. Superman had scanned the skies and knew that Parasite’s bursts of heat vision would not hurt anyone. With most of his head held by the cement, he could only shoot them straight up. With all of the flying and use of powers, the Parasite had quickly emptied out what energy he had drained from the Man of Steel. That had been what Superman had counted on. Superman dug under the cement block and flew it into the air. The Parasite continued to scream, but he just ignored him. Even the bursts of heat-vision were becoming nothing more than sparks from his eyes. He was effectively drained and with that, Superman knew that he would become more and more hungry. That hunger was what made the Parasite so dangerous. He would have to make sure that precautions were taken when putting him back in a prison cell. Superman landed in the courtyard of Stryker’s Island Prison. He had flown slow enough that the guards would recognize him and meet him. They wouldn’t know who he was bringing, but he had brought enough prisoners to them to ensure that they would be on their guard. He landed, setting the piece of concrete down. The head of security was waiting for him. Superman was glad for that. With S.T.A.R. Labs and the prison damaged, he didn’t know what he would do if he couldn’t take him to either one. He would have to fly him to another city. Any extended time with the Parasite meant that he had a chance to gain power and escape. Superman was relieved that he could release him to Stryker’s. Three guards came out, one with a pole. The power-dampening collar was attached to the end. It was specifically tied to the Parasite’s power signature. Superman was glad that they kept multiple collars in reserve. “Stand back,” he said as beams of heat vision pierced the cement around Parasite’s head. “Hold still and you will be fine,” Superman replied. “I’ll be waiting,” Superman said as he used his fingers to drill at the cement until the last pieces fell off of the Parasite’s body. The guards cuffed his hands and began leading him into the prison. Superman ignored him and took off. He knew that Metallo was still out there, but he needed to go to the hospital to make sure that Jerry was okay. There was a breeze and blur of red and blue before Clark Kent began walking out of a nearby alley, adjusting his glasses. He had flown over as fast as possible, which for Superman, was fast indeed. He walked through the electronic doors, into the Emergency room. He looked around and caught Lois’s eyes. She smiled weakly as she got up. They walked toward one another and embraced. “I’m always glad to see you.” Clark replied. They walked over to Perry, Alice, Jimmy and the man Clark remembered as Jerry’s teacher. It had been when Superman attacked the Parasite at Metropolis High, so he had to play as if he didn’t know him. Which wasn’t too far from the truth, he didn’t know his name or even what class he taught. “You too,” Jose said, before sitting down again. Clark sat next to Lois, all of them sitting in silence. It was almost palpable, the nervous expectation that hung over the six of them. Waiting for the doctor to tell them how Jerry was faring. It was nearly an hour before they heard their name called. “Mr. And Mrs. White?” a doctor asked. He had come up on all of them, but no one had noticed. It said a lot that Clark hadn’t even paid attention to the footsteps as they approached. Everyone was in their own head, fearing the worse. Perry and Alice stood up. “How is our son?” Alice asked. The doctor paused, wringing his hands in a nervous gesture. “First off, my name is Dr. Donald Green. I have been treating your son since he came in.” He paused, but Alice and Perry said nothing, waiting in anticipation. “Well, yes, ummm. Your son is stable at the moment.” Alice breathed a sigh of relief, her shoulders releasing their tension. “Just spit it out, doc. We don’t need the sugar-coating, we need the damn truth,” Perry stated quietly, with a hint of anger backing his words. It looked as if Alice was going to collapse into Perry, but she closed her eyes for a second, focused and pulled herself together. Anyone who knew Alice, knew that she was no pushover. She couldn’t be to have held her own against Perry. “Of course, whatever you need,” Alice said. “What does the process entail?” Perry asked. “Well, let’s get the blood test done and over with so we can save our son,” Perry said. The doctor agreed and the couple followed him to get their blood drawn. “I love you more,” Lois said. She kissed Clark before he headed out of the hospital. He just felt like there was more going on than he could see. He just hoped he could figure it out before it was too late. Metallo walked up to the loading dock behind Lexcorp towers. His shoes, pants, hat and collared shirt did a decent job of hiding his metal body. He was thankful that he had been designed to move soundlessly. In the movies, there was always a whirring of gears as the robot moved. That would have been a dead giveaway. There weren’t many people back here, which suited Metallo. He made himself look busy until he saw a lone figure with a Lexcorp badge. That was all he needed. He came up behind the laborer, knocking him unconscious before he even knew what had happened. He grabbed the badge and stashed the unconscious man in a dark corner. He had thought of killing him, but that might cause too much of a fuss if someone found him. Just being unconscious would cause a bit of confusion. Metallo walked to the elevator and hit the call button. When it arrived, he entered and hit the floor that held Lex’s office. The badge was the key card that he needed to get the elevator working. This plan was going much smoother than he had anticipated. The doors closed and the elevator began rising. It was a freight elevator, so the fact that it did not stop at other floors was nothing new. These elevators were for loading and with a slow day like today, it wouldn’t have been in much use. The doors opened and Metallo walked out. He saw the receptionist’s desk ahead and barged past it before the receptionist could get a word out. The thick wooden doors were no bar to his strength. He smashed through them, surprising Lex, but not his two bodyguards, Hope and Mercy. They were both at the ready. “You two little girls ain’t going to do nothing.” Metallo laughed as he headed towards them, his baseball cap falling off. They approached him, attacking faster than he had expected. Every kick and open-palmed punch hit him, knocking him off-balance. He swung his arms, attempting to push them back, but they easily dodged. The two backed off, but remained at the ready in case he made any threatening moves. He began walking toward his private elevator. Metallo followed him, Hope and Mercy in close pursuit. All four entered the elevator and they began to descend. “It’s a 3-D printer. I am programming in the chemicals I will need to synthesize the skin.” Lex never looked up from the control, punching in command codes and making sure that the machine was ready. Metallo discarded the last of his clothing and entered the machine. The door shut behind him and he could hear it powering up. He smiled, ready for his new skin. As the light increased, a field went up in front of him and held him in place. “Is this supposed to happen?” he asked Lex. The field increased in intensity and pulled at Metallo’s chest cavity, opening it against his will. He tried to speak, but even his jaw would not move. Pain ripped through him as the kryptonite was ripped from his chest. The light in his eyes began to dim, but lit back up as a power core was inserted where the kryptonite had been. “You’ve given me exactly what I needed,” Lex said as he hit one final button, sending a bolt of electricity directly into Metallo’s head. The blue arcs of light ripped through him, knocking him unconscious. Lex made another few key strokes and Metallo collapsed to the ground. Superman flew through the window into Emil Hamilton’s lab. It had not been damaged in the S.T.A.R. Labs explosion and Superman was grateful for that. Though Emil didn’t know his secret identity, he still considered him a friend and confidant. The scientist in question was hunched over a computer screen. Multiple pieces of paper lay loose over his desk. All were covered from margin to margin with equations and notations. It was typical Emil, lost in his work. “Hello, Professor.” Emil did not jump, but held up one finger as he finished one more calculation. “Oh, yes. How silly of me to forget.” He rifled through some of the papers until he found one in particular. He handed it to Superman, as if it would explain everything. Superman nodded for him to continue.